China remains among the top destinations for any business looking to internationalise, and the business environment there is still evolving in terms of both production and consumption. Its growing capacity to produce sophisticated manufactures and complex services is matched by an increasingly affluent domestic consumer base that demands state-of-the-art, internationally popular brands and products. 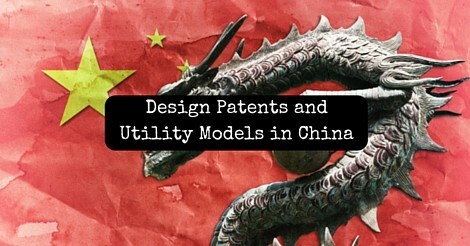 Although patents are commonly the most complex and time-consuming type of IPR when it comes to registration, China not only offers the more traditional invention patent type, but also design and utility model variants. These additional patent types are a significant plus to businesses looking to protect their intellectual assets, as they typically require a less stringent level of innovation and are granted much faster. Due to the difference in regional systems, many foreign companies do not know how to protect their product designs in China. For example, while in Europe a business can seek protection for an original work as either a registered or unregistered community design, in China no protection is offered to unregistered designs – they must be registered as patents. A Chinese design patent provides exclusive use of the aesthetic features of a product for a period of 10 years; that is, protection of the way a product looks as opposed to how it functions. According to China’s Patent Law, a design is defined as “the shape, pattern, or the combination thereof, or the combination of the colour with shape and pattern, which are rich in an aesthetic appeal and are fit for industrial application.” However, it should be noted that Trade Marks and parts of a design which cannot be used or sold separately cannot be registered. In addition, two products with different functions but which appear the same may be covered by the same design patent. For example, the same design patent could apply to two generations of mobile phone with the same external appearance but different functionality. The only condition is that all products covered by that design patent have to be capable of being sold or used independently. As such, retail spare parts can be protected by design patents in China. If design patents are seen as compliments to invention patents, utility models can be viewed as their lighter alternatives. By formal definition, utility models are granted for new technical solutions relating to the shape and/or structure of an object; in practice this covers most of the requisites of an invention patent, excluding non-material innovations (i.e. operational processes). The major difference between the two is that utility models require a lesser degree of inventiveness. This similarity in scope has resulted in mass application for patents under a ‘double-filing’ strategy, whereby a single innovation is applied for under both types followed by the abandonment of the utility model if and when the invention patent is officially granted. This way, the applicant can benefit from the early patent protection granted by the utility model (usually approved within one year as opposed to three to five years), as well as the longer term protection granted by the invention patent (exclusive rights for twenty years as opposed to ten). However, this is not just a loophole for gaining protection as soon as possible: the official procedure requires that parallel applications be filed on exactly the same day accompanied by a declaration that such a filing was made. It is extremely important to consider the unique features of the Chinese patent system for any business with an evolving portfolio of innovations. Pre-emptive action is not just recommended but a must, given that patentability requirements include non-disclosure of an innovation: it cannot be publically published anywhere in the world prior to application. Additionally, for any potential invention patent, it is recommended to undertake the double-filing route to gain protection as soon as possible. Double-filing means that the company applies simultaneously for an invention patent and a utility model patent. Since utility model patents are granted faster than invention patents the company could start enjoying utility model protection while waiting for the invention patent to be granted. The market value of technology can only be assured if it has enforceable protection.